We wouldn’t be doing the Cunningham acquisition justice if we didn’t have at least one story about food. 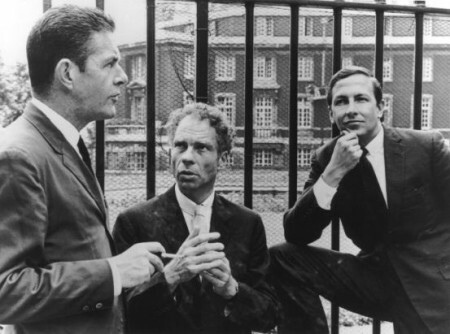 Here is a short anecdote and recipe for John Cage’s almond cookies, a treat that made the rounds through the Merce Cunningham Dance Company establishment and its friends. 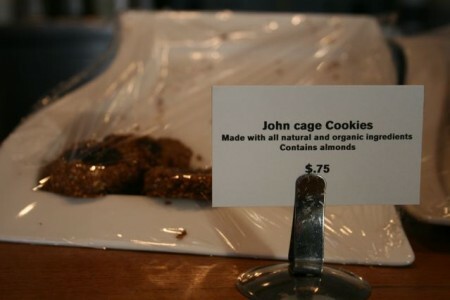 Cage and Cunningham were introduced to a macrobiotic diet by Yoko Ono, and the cookies reflect those healthy precepts. Merce was particularly fond of these, and now you can make them, too. Add ground cinnamon to the dry mixture. Stir mixture until you are able to form one-inch balls. Place on ungreased cookie sheet. Flatten slightly, and press a small dollop of your favorite jam or preserves (jelly is too thin) into the center of each cookie. Bake for 15-20 minutes, turning the pan once, halfway through the baking process. Cookies are done when light golden brown. They store well in the fridge.